Full-face helmets offer better face and eye protection than open-face helmets. Around half of all impacts to the head in motorcycle crashes occur to the face. Full-face helmets also offer better wind and sun protection. 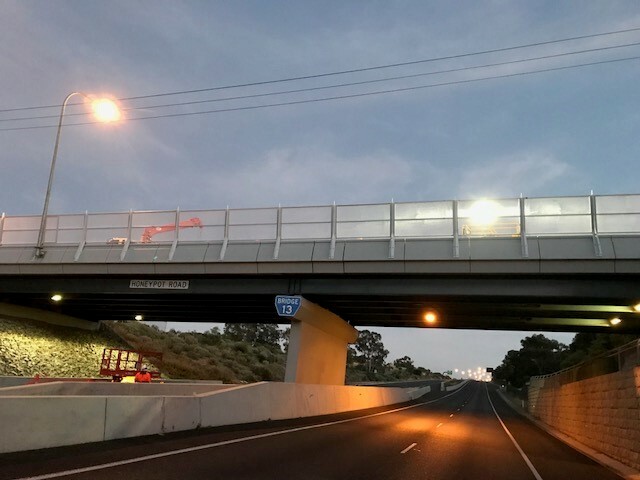 All helmets must be marked to show that they comply with the relevant Australian Standard or ECE 22.05. For helmets that comply with ECE 22.05, the helmet must bear a label displaying an international approval mark. The label may, for example, appear as a sticker on the outside of the helmet or as a label sewn into the retention system of the helmet. The mark will be in the form of a circle surrounding the letter "E", followed by the distinguishing number of the country that has granted approval. The number to the right of the "E" may vary from one model of helmet to another. Examples of ECE standard marks are shown below. 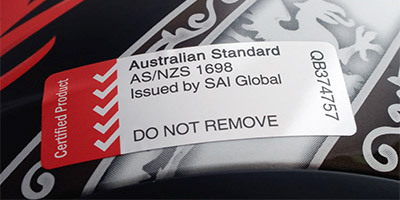 An example of an Australian standards conformance mark is shown below. Helmets range in price and construction, so spend time choosing the best protection, the best fit and most comfortable style for you. For more information on helmets, including protection and comfort ratings, visit the Consumer Rating and Safety of Helmets website http://www.crash.org.au/ . Never buy a second hand helmet. You won't know how it has been treated. It may have damage you can’t see. open face helmet which leaves your face exposed so there is no protection for the chin and jaw. Many open face helmets offer no eye protection, so you could get hit in the eye by a rock or large bug causing injury or a loss of control; even rain can cause pain and difficulty in seeing clearly. finally, wear the helmet for a few minutes to make sure it's comfortable. Don’t forget to wear other protective gear. In the event of a motorcycle crash, in addition to your head hitting something, it's not unusual for hands, elbows, knees and feet to strike the bitumen or other hazards. Wearing protective clothing reduces your risk of serious injury. More information about protective clothing can be found in the Good Gear Guide.